Join Life Coach, Carey Bailey here each week for a short but impactful video, Leadership Tips & Tricks. And be sure to join in the conversation as she lovingly challenges us to a higher level of living well. Carey is a self-professed candy junkie but sugar will never match her deep desire for equipping women to satisfy their cravings for abundant life. She does this through life coaching, teaching, and retreat leading. She is a Texas girl who called Arizona home for seventeen years before moving with her husband, Eric, and their two kiddos to Colorado in 2015. 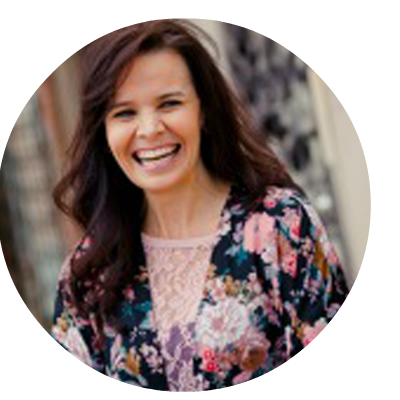 After graduating with a Bachelors of Arts in Religion from Westminster College, Carey began her twenty-plus year career as a Family Life Pastor working at four different mega-churches before transitioning into her passion-field as a life coach. Who are your favorite women of the Bible? What are the character traits of your favorite women of the Bible, and how are they reflected in your ministry? How do you long for them to be? my favorite women in the Bible are Deborah, Esther, Hannah, and Mary the mother of Jesus. Hi my name is Betty, I am the pastor’s wife and the leader of the women’s’ ministry in our local church. Your theme caught my attention, because it is similar to the one that I chose on last year to minister to the women that I oversee. The theme that I chose is “Sisters Building Sisters. Gal:2; I Corinthians” 2:9.